India vs New Zealand: India stand-in captain Rohit Sharma is on the verge of two massive world records. India vs New Zealand: India stand-in captain Rohit Sharma is on the verge of two massive world records. He has the chance of becoming the leading run-getter in T20I cricket. He needs 36 runs to go past Martin Guptill. 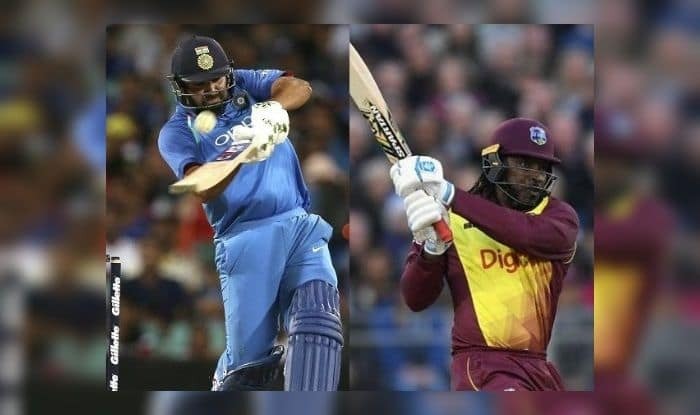 The Indian captain could also join Guptill and Chris Gayle to become the third cricketer to hit 100 sixes in T20I cricket. Gayle and Guptill have hit 103 sixes, whereas Rohit has 98 to his name. Rohit has been in great form with the bat in limited overs cricket. Earlier in the year, Rohit went past Gayle to hit the most number of sixes against a single opposition. Meanwhile, during the three games that will be playing this week, Rohit will have a chance to take over Virat Kohli in the list of most wins as captains in the shortest format of the game. India had earlier defeated the Kiwis 4-1 in the recently concluded five-match ODI series.